In 2014, Brendan Boyle was elected to Congress by the citizens of the 13th Congressional District, representing Northeast Philadelphia, part of North Philadelphia, and approximately half of Montgomery County, PA. 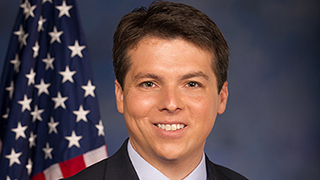 Since first entering public service, Congressman Boyle has served as a champion for working and middle class families, in particular issues relating to social and economic justice. A live telephone town hall discussing social security and other important issues with Congressman Brendan Boyle and issue experts.